When I was a little kid, I associated country music with black-and-white westerns on afternoon television and German band Truck Stop. I don’t know what it is with our Eastern neighbours, but today they are still a fertile incubator for American tinged music. 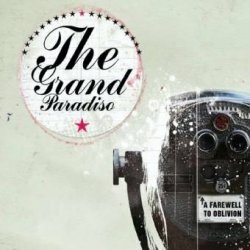 The Grand Paradiso are a quartet from Nuremberg who offer forty minutes of undiluted Americana country pop on their debut album A Farewell To Oblivion. Germany may lack the go-west mentality and the manifest-destiny doctrine of the United States, but that has never prevented its musicians from absorbing traditional American music forms. A lot of times, German country bands lack the necessary bite and authenticity to give their music interest, but The Grand Paradiso circumvent this with their snappy approach, adding enough rock drive and pop accessibility to their songs which furthermore can convince with very tight structures and often great melodies. At their best, as on I Was Running, they come up with jaw-dropping revelations that you will have a hard time to get out of your head. Although not every track can claim this splendid perfection, you will also look in vain for weak moments. A Farewell To Oblivion strikes a fine balance between reflective balladry and upbeat country pop rock, always with enough punch to stay on the interesting side. It’s hard to believe that we are in the presence of a debut record. If these guys continue in that vein, they will have a strong future ahead of them.